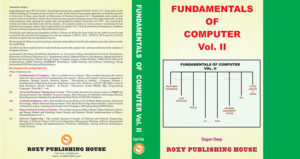 This is available in three volumes. 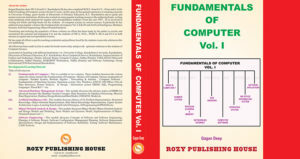 These modules discusses the various topics for a basic learner like Fundamentals of Computer : History of Computer, Various components of computer; Number System; Boolean Algebra; Networking & Internet; Computer Software; Fundamentals of Operating Systems; Operating systems : DOS, Windows, LINUX; MSOffice; Files & Data Structures; System Analysis & Design; Information system; DBMS; SQL; Programming Languages : Pascal & C++ etc. 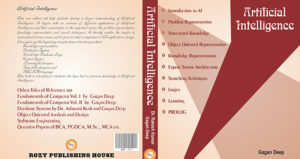 This module discusses Basics of AI, Problem Representation, Structured Knowledge, Object Oriented Representation, Rule Based Knowledge Representation, Expert System Architecture, Logics, Learning, Search and Control Strategies, AI Programming in PROLOG etc. This module discusses the advance topics of DBMS for advanced learners like Database System Concepts, Data Structures for Database Processing, Physical Data Organization, Database Design, Relation Data Model, CODASYL Model etc. This module discusses Object Model, Object Oriented Analysis and Design Models and Modeling, Static Models and Dynamic Model, Implementations of Object-Oriented Features in C++. This module discusses Concepts of Software and Software Engineering, Planning A Software Project, Software Configuration Management Planning, Software Requirement Specifications, Design and Implementation of Software, Reliability, Testing, Software Maintenance, CASE Tools etc.